So, this time with my baking powder firmly in hand, I boiled up a couple of sweet taters in my micro-cooker. We then grabbed sprinkles. I wish we would have had colored sugar, but sprinkles worked just fine. 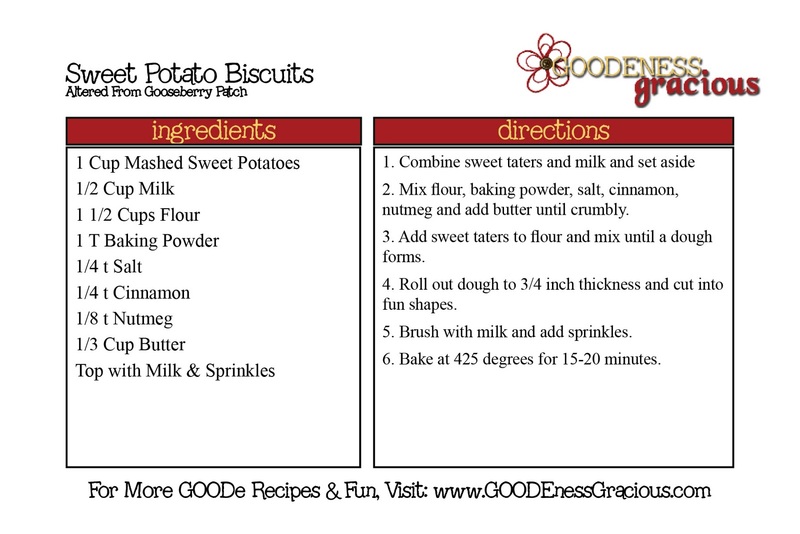 These sweet potato biscuits are a fun, healthier alternative to cookies with the same decorating fun!